Are you from out of state and considering a move to Florida? Have you known about the Tampa Bay area for a while and are looking to get your feet wet with some local information? Maybe you’re already familiar with the area and you’re finally ready to put down roots and buy your own home. Wherever you are in the process, we’re here to help you buy your home in Pinellas County. 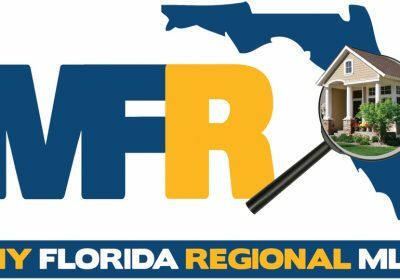 We have been compiling information about the local area for a couple years now to make this website the number one resource for real estate information in Pinellas County. Throughout this article I will link you to well researched articles that we have published to help you make the most informed decision you possibly can. It’s a big world of real estate out there so as always, feel free to reach out to us at any time if you have a question not answered here. Why do people choose to live here? Pinellas County is known for a lot of things and some of the best parts of this area have only come into fruition in the past 5 years or so. You could call it an up & coming area but even that wouldn’t describe it. There are a ton of people moving here and we are seeing an explosion of development. It’s like a hidden secret was discovered and now industries, arts, tourism and especially millennials are flocking to this area. So why would you decide to buy a home in this area? Well we have a lot of good things going for us. I highlighted some of the best reasons as you might’ve seen in the infographic above. Let me touch on these topics real quick for anyone that’s not familiar with the area. Top Beaches – As you might know we have some of the top beaches in the United States. 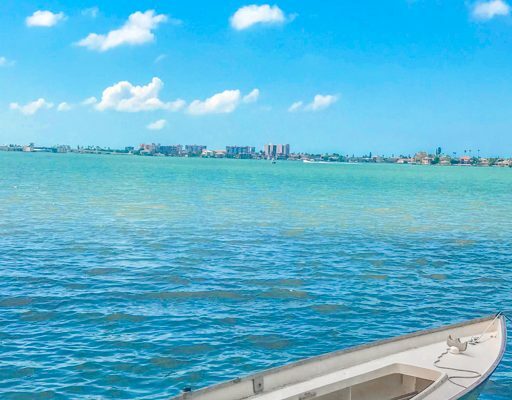 St. Pete Beach, Clearwater, Siesta Key and other local beaches have consistently ranked in the top 5 beaches in multiple publications throughout the years. You will find everything from 5 star hotels to beach front cottages along the beach front. It all depends on your personality but if you’re like us you might be surprised at how little time you actually spend on these gorgeous beaches. We would rather be out cruising sandbars on the boat! Emerging Art Scene – We love street art. Many times this art is more intricate and thought provoking than even some artwork you would see in a museum. We have it everywhere, especially in the St. Pete area. There is an annual event called Shine Mural Festival where local artists and artists visiting from other cities get together and paint beautiful murals throughout the city. It’s a great thing seeing new murals pop up around the city. It can really give a previously gloomy looking area a new lease on life. One other notable event is the Second Saturday Artwalk that happens on the second Saturday of every month. About 40 art galleries open up their doors to the public where you can stop in and meet the artists, buy art and even see art being made. If you go to this, be sure to stop by the Duncan Mclellan Gallery to see a world class artistic glass exhibit. You can even see a live glass blowing exhibit in their Hotshop while you’re there. Their premises are so gorgeous it feels like walking into a movie set the first time you visit, we can’t say enough good things about how great this place is. Great For Families With Children – Being an area that attracts millions of tourists, you can imagine there has to be plenty of activities and attractions to keep people coming back every year. You’ll be hard-pressed to not find something to do on any day of the week in Pinellas County. 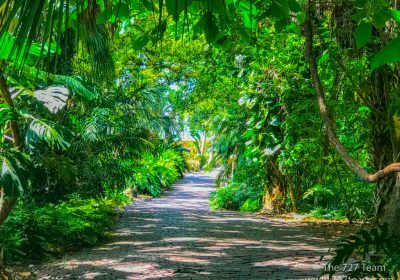 As you establish roots here, you’ll notice there’s a lot of hidden secrets that the locals know about if you have kids or friends with kids. 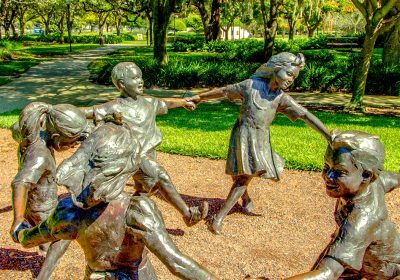 From local festivals like Jamboree to gorgeous parks such as Largo Central Park, there are a ton of choices to entertain your family! 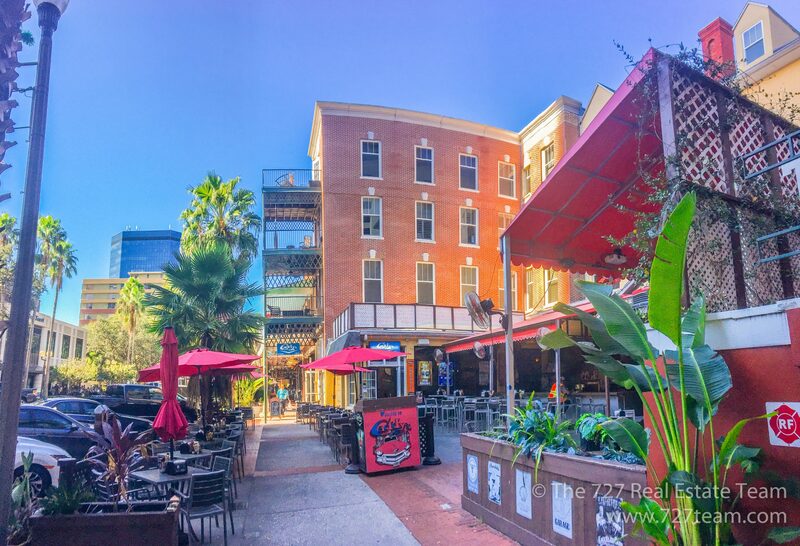 No matter your age you will enjoy the very walkable Downtown St. Pete. It’s an urban area juxtaposed with historic buildings and acres of spacious waterfront for all to enjoy. You have options here. If you like to enjoy the great outdoors, you can enjoy an early morning jog along the waterfront, take your dog to the downtown dog park, play different sports on the courts and fields that are maintained by the city or just sit down on a bench and see if you can spot a dolphin. If you like to go out at night and have a good time there’s plenty of options for that as well. There are high end bars and restaurants along beach drive, local pubs and dive bars scattered throughout and plenty of great restaurants that serve good food at a reasonable price. If you live downtown you don’t even need a car. Pretty much everything you need is within one square mile. 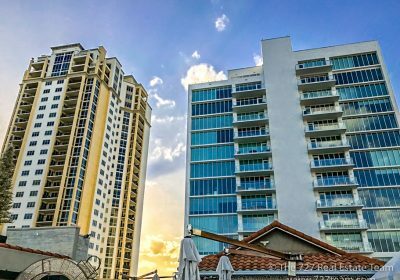 Clearwater is the other major city in Pinellas with a bit of an urban feel mixed with the beach life. A hotspot for tourist – Clearwater has a fun walkable area filled with beach bars, rooftop restaurants, tourist traps, Hulk Hogans and more. Looking for a downtown area that’s smaller but still packs a big punch? 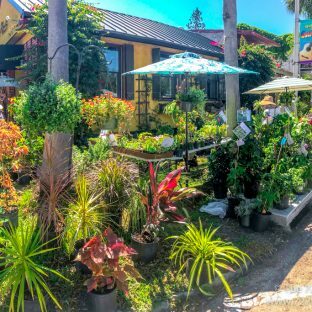 Check out Dunedin know for it’s downtown market and Celtic themed festivals or Safety Harbor where you enjoy beautiful views of the water and rent a bike. We’re grateful to live in an area we are actually excited about. 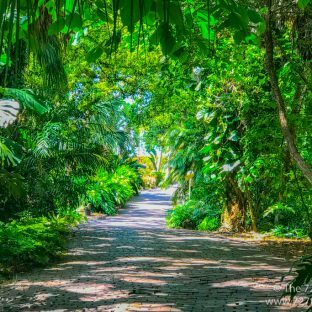 Chris lived in multiple states and two different countries in his adult life however St. Pete is one of his favorites to write about. He loves being able to spend his free time downtown and run into people he knows, either good friends or acquaintances. Like most people he only has a handful of close friends however it’s great to be able to just talk to people that you run into on a regular basis. When he lived in other cities, he would have to deliberately make plans to go see friends, plan something to do and find someone to go do it with. Here he can run into all sorts of people and enjoy a simple conversation and then maybe run into them again a few months later and enjoy catching up with them again. When he has a friend come visit from out of town and they go downtown their typical reaction is “Wow you have a lot of friends”. That’s not really the case – it’s just that the St Petersburg downtown area provides that perfect local feel where you can maintain simple friendships with lots of different people from all different backgrounds. Sometimes starting a conversation is as simple as hey I recognize you, don’t you work downtown somewhere? In previous lifetimes when he lived in other cities he would have to put an effort into making friends. He is about 50/50 introvert mixed with extrovert so it wasn’t always super easy. It truly feels effortless to make friendly connections with people you may or may not necessarily spend time with otherwise. When you tend to frequent the same spots, you run into a lot of the same people. As an adult it can be tough to develop those connections outside of work and your home life so it is much appreciated that this city allows people to do that in a natural way. Ryan originally coming from South Carolina was used to living on acres of land and dealing with a mix of country sprinkled with suburban areas. Florida definitely comes with a lot of social stigmas but most of those are broken once you truly discover this area. There really is a local feel to Pinellas County that is hard to ignore. 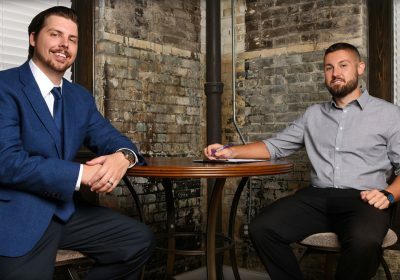 Living in Brandon and Lutz, Ryan felt that other than there being lots of shopping plazas, there was very little those cities offered in terms of community. 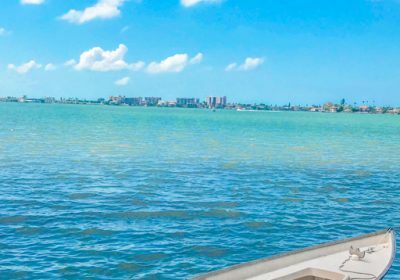 The moment Ryan moved to Clearwater living across from Countryside Mall, he noticed a vast difference in the Pinellas lifestyle and the myriad of choices he had for activities. As he ventured deeper into Pinellas County living in Largo and eventually settling in Seminole, he was able to experience the culture and guide people on things to do, especially with kids as a father himself. Our friends at Genaro Cafe! This kind of ties into the paragraph above. The vibe in Pinellas County is easy going and everyone can feel it. Most people here are actually transplants from other parts of the US as well as all around the globe. People that move here don’t necessarily have those preconceived boundaries as the people who live where they grew up at. When you move somewhere new, you are much more open to meeting new people. During our travels we’ve noticed that there are some cities that are friendly and also some tourist spots where the locals just are just fed up with the tourists. That’s not the case here – Pinellas County is a great tourist destination and all the people here always seem interested in others and are happy to accommodate. If you ever enter into one of those no-drinking challenges for fitness reasons, it’s really tough when you’re surrounded by a wealth of microbreweries. The craft beer scene has taken off here and not only is the beer good but the atmosphere of these breweries resonates with us as well. If you think of the term “bar scene” you may have a picture in your mind of a loud, crowded atmosphere with obnoxious drunk folks. These breweries take a different approach. 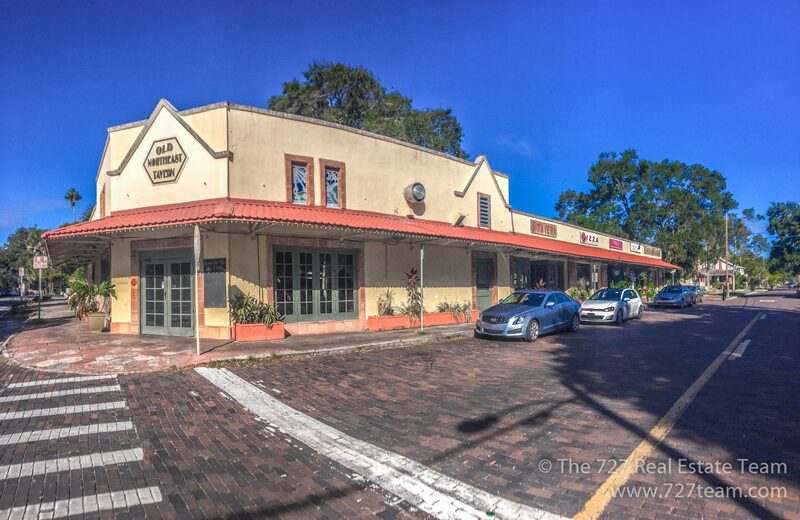 Most of these establishments are on the outskirts of downtown St Petersburg located in large warehouses or repurposed auto mechanic shops. These provide a spacious atmosphere without the loud music (most times) and plenty of indoor and outdoor space to relax with friends. Since it’s extremely expensive to maintain a liquor license but very affordable to hold a beer and wine license, these breweries just stick to the basics of beer, wine and cider. This isn’t your college bar scene where people are ordering up shots and getting dumb. You’ll find a more mature scene with easy going adults and even families that bring their kids in sometimes. Even when abstaining from alcohol, you can still go with friends and enjoy some non-alcohol drinks and play some fun bar games. So what kind of homes are here? We have a little bit of something for everyone. There are single family homes, waterfront condos, luxury waterfront neighborhoods, 55+ communities and some new construction. There’s a reason that new construction is limited here – There is only so much land to build on and most of it was built up during the 1920’s and 1950’s. This has lead to many people renovating the current structures from those time periods. If you already have a pretty good idea of what type of home you’re looking for your next step would be to narrow down the areas in which you’d like to live. 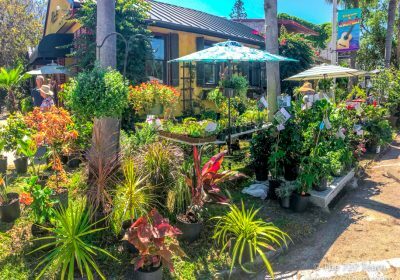 This article about the Top 8 Best Places To Live Near St. Pete, Florida may help you get an idea of the area. Chris is familiar with the area around St. Pete and would be happy to talk to you about your options, feel free to email him at chrisformico@gmail.com and he can give you some location advice to best fit your needs. 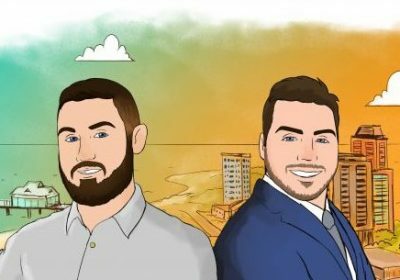 Ryan is more knowledgeable on the North Pinellas areas including Largo, Seminole, Clearwater and Dunedin and can be reached at the727team@gmail.com. You can also reach both of us via our Contact Us page. Investments come in all shapes and sizes. You can even use your primary home or vacation home as an investment property. Not all real estate purchases are a good investment. Be sure to educate yourself properly before you decide to buy a home. We always recommend considering an income property for folks to set themselves up for long term financial stability. 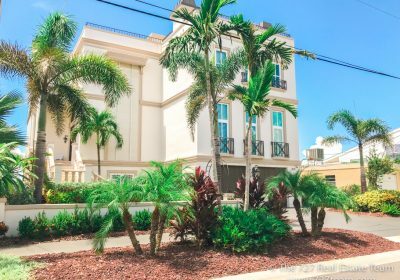 We will touch briefly on your available options here but if you’d like more information on income properties be sure to read our article about income properties in St. Pete. There are many homes in this area that are legally zoned for multi-family use. A great option for many is owning a single family home that also has a legal rental apartment in the back. You have a full sized home and the bonus of a separate structure that can provide you with passive income. You may also choose to buy a duplex, triplex or quadplex. Anything larger is considered a commercial apartment but we have those here as well. The rental market here is strong and will continue to stay that way. There are a lot of people moving here and of course everyone needs a place to live. Last we heard the Tampa Bay area was at about 95% occupancy for rental units which is a sign of a strong rental market. If you’re even able to simply buy a small duplex and rent out one side while living in the other, you’re positioning yourself for long term success. You can also get a partial tax write off from a homestead exemption if you live in your investment property. There are beach condos you can buy and have a property management company rent out for you as a short term vacation rental. What’s nice about that is they will do everything for you from booking guests, cleaning, proper tax documentation and management of the property in case something breaks. It’s a completely hands off investment and you simply pay them a portion of your profits. Why not take advantage of the tourism industry in our beautiful city? Buying a property for AirBnB purposes can be a little risky. This is simply because AirBnB is a relatively new platform for hospitality and many places are still figuring out the best way to handle it. Some cities have specific zoning where it’s currently allowed. There are some condos you can buy that have no limitations on short term rentals including AirBnB. If you’re interested in buying a home to use as a AirBnB, make sure your Realtor does research on each specific property to see if you can expect any complications in the future. You will need a few things to get this process started and to ensure it runs smoothly. To get off on the right foot you will need these 3 things. That is of course if you’re not planning on buying a home with cash. A pre-approval is a letter from a mortgage lender that will be used to show you are approved to finance the purchase of a home. We need these to submit an offer on any property. It’s smart to have this ready to go before we start your search. Wouldn’t it be terrible if you couldn’t put an offer in on your perfect home? Let us know if you need some mortgage lender recommendations, it’s smart to talk to a few different lenders to shop for the best rate and closing costs. 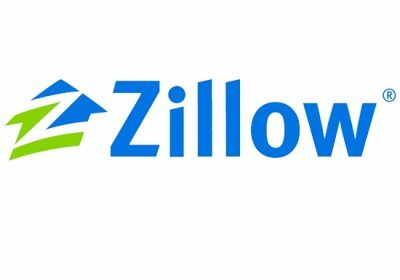 There are of course sites like Zillow, Trulia and Realtor.com where you can look at properties online. There’s one issue with this – These sites aren’t updated in real time like our MLS system is. It’s helpful to have real time access so you can see if a house is still active or under contract. It’s also going to show you the latest price updates. We’ll need to focus your search a bit before we get your MLS access started so get your pre-approval ready and then contact us so we can open up dialogue about your search criteria. Realtors not only need to be knowledgable in their own career field, they also need to have a network of knowledgeable professionals to refer you to for things outside their scope of expertise. Whether it be a mortgage lender, title company, contractor, plumber or even recommendations outside of real estate, we will be happy to share our network with you. The knowledge of Realtors will differ depending on what part of the world you are buying a home. Check out our article outlining The Top 6 Most Important Things A Realtor Should Know When Buying In Pinellas County. Well we hope you enjoyed the information provided here. If you’re hungry for a more in depth article about buying a home in Pinellas County we’d recommend Our Frequently Asked Questions Ultimate Buyer’s guide which covers buying vs renting, flood zones, home construction types, financing, appreciation vs inflation and more. Be sure to bookmark this page for when you’re ready to get your home search started. Thanks for reading!